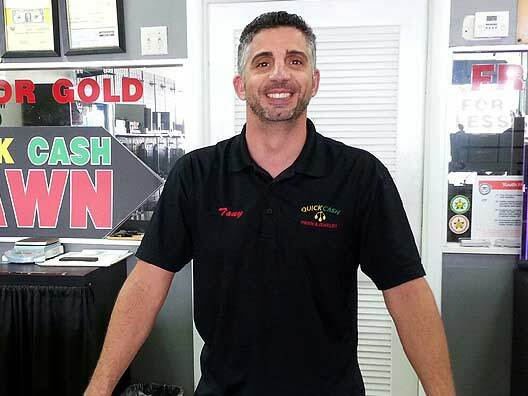 I’m Tony Faiella, owner of Quick Cash Pawn & Jewelry. I started my own pawn shop in 2010 after working for a national pawnshop chain for almost 12 years. I quickly learned that this is a relationship business, and in order to be successful, you need to build a repore with the customers and provide them with courteous and professional service. Quick Cash Pawn & Jewelry is not your typical pawnshop. We’ll treat you like an old friend, not a dollar. In the last several years, the landscape of the pawn industry has changed significantly. Popular television shows like “Pawn Stars” have piqued the curiosity of people who have never set foot in a pawn shop and broadened the market. Pawn shops are not new to society; in fact they have been around for more than 3,000 years. Today’s pawn shops operate like mini, non-traditional banks for people of all walks of life. In the United States there are about 12,000 pawnbrokers who deal with a wide variety of items including jewelry, watches, electronics, collectibles, antiques, art collections and more.